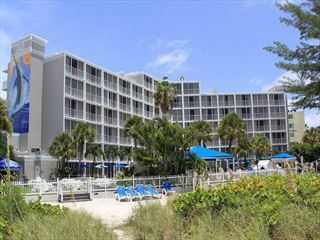 Located in Florida’s St Petes Beach, Sirata Beach Resort is a relaxed property. The accommodation is spacious, stylish and well-equipped to make sure you feel right at home from the moment you arrive. This is a really relaxing retreat set in a picturesque area, combining the best of both worlds – the peaceful soft sands of the beaches and the fun-filled activities in the surrounding area. 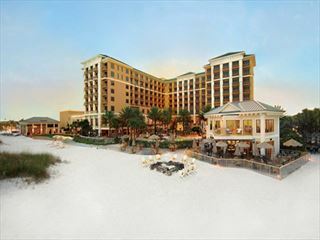 Boasting 13 acres of beachfront to explore, you’ll have plenty of space to soak up some sun during your stay. 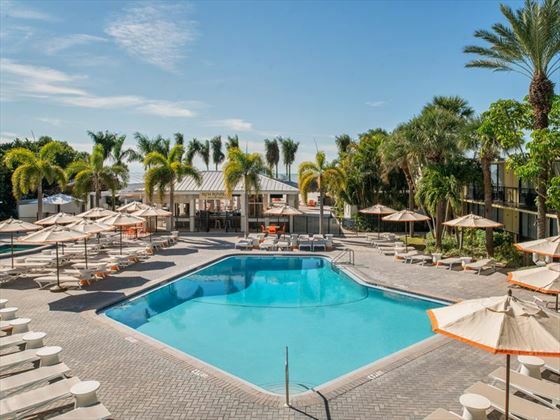 The facilities here are designed around unwinding with your loved ones – head to the outdoor whirlpool for a well-deserved break or go on an excursion to see more of the area. There’s a concierge desk on-site if you want to arrange a tour or activity while you’re here. There are several dining options too, so there’s sure to be something to whet your appetite. Top tip – Go on treat the family and hire a private cabana by the pool. Each is equipped with a TV, mini-fridge, and ceiling fan. 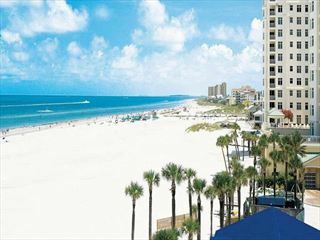 Relaxed beachfront resort, just steps from the sand, 10 minutes from downtown St Petersburg with easy access to theme parks, zoos, professional sports venus, art museums, restaurants and bars. Prices correct as at 6pm on 23 Apr 2019. Please call for final price. Prices are per person based on 2 adults sharing a room. Other durations available - call for quote. Prices include flight and accommodation as stated below and car hire including Dollar rent-a-car's 'fully inclusive' insurance package. For more car hire options please ask your travel expert.